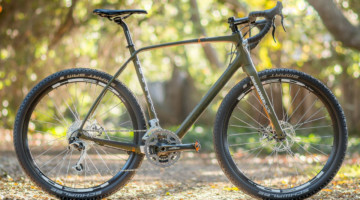 The new 2017 Eddy Merckx Strasbourg 71 Carbon we saw in Vegas was fresh off the shipping container and delivered directly to the 2016 Interbike Outdoor Demo. 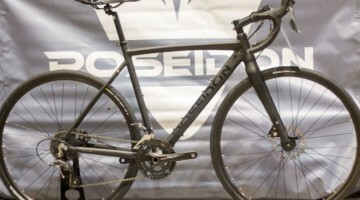 We take a first look at the new carbon gravel bike, which sees a change in frame material over the aluminum version of the Eddy Merckx Strasbourg 71 that we saw at last year’s show. 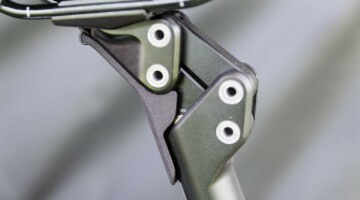 The new Strasbourg carbon frame adopts a 142x12mm rear thru axle in the rear with a locknut that can easily be replaced should the threads become stripped. Up front the carbon fork features 100x12mm thru-axle dropouts, and down below lies a BB-72 Press-Fit bottom bracket (BB86). 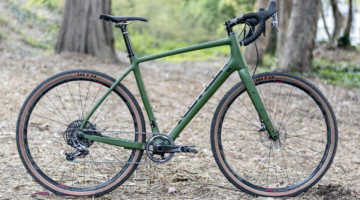 The geometry remains unchanged from the aluminum model, and while the bike is lighter, our prior statement about last year’s aluminum bike that the Strasbourg is not exactly angled to be an all-out race machine still stands. However there are several updates worth noting with the new carbon model. 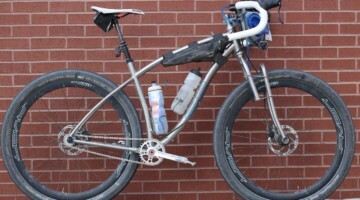 The bike now features more bottle bosses, including two on the underside of the down tube. There are now four bosses on the top of the down tube, allowing the bike to accept a wider variety of storage accessories. 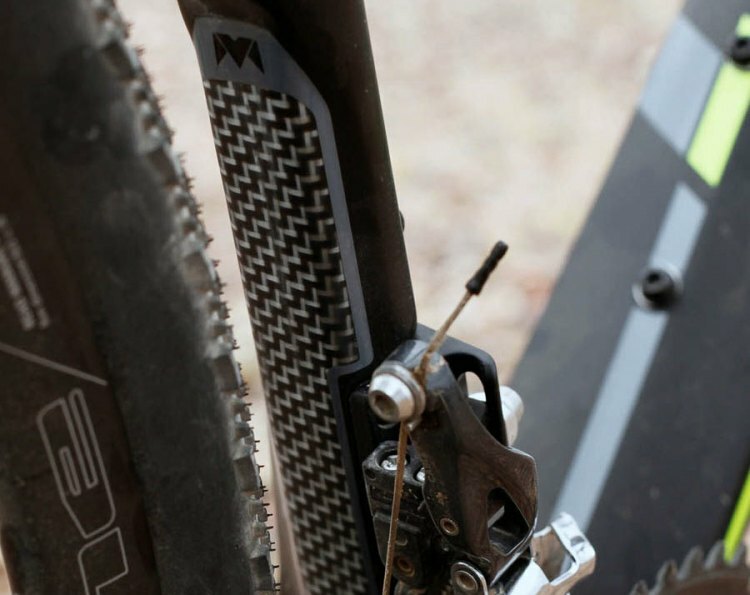 The bike also hosts hidden fender mounts for riders who expect to encounter wet weather. 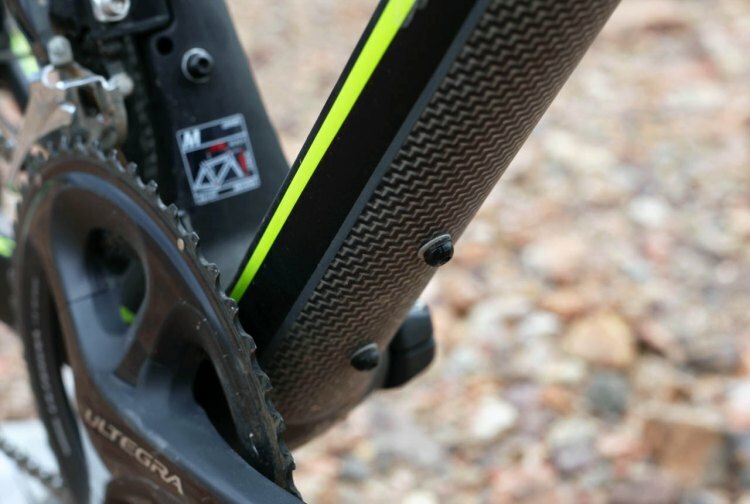 Kevlar strips can be found on underside of the down tube and bottom bracket, as well as on the back side of the seat tube. These strips help protect the frame in areas that are most prone to damage from road debris. 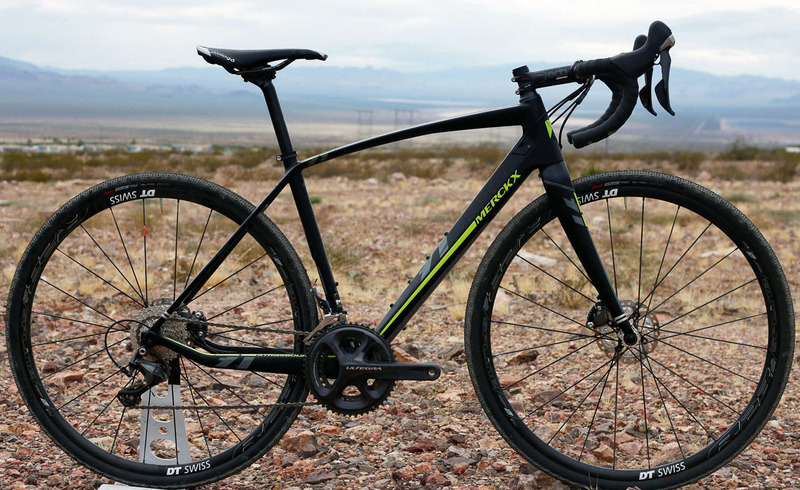 The bike still features Shimano RS-685 levers and flat mount calipers that are found on the aluminum version, but is spec’d with higher-end 140mm Shimano Freeza rotors. The Shimano name continues on to the drivetrain with Ultegra 6800 cranks, derailleurs and 50/34 compact gearing. The cockpit comes courtesy of Deda, while the saddle is all Prologo. 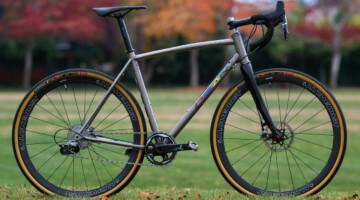 Keen eyes might notice that the carbon version of the Strasbourg features asymmetric chainstays. The drive-side stay is slightly narrower to allow for more tire/chainring clearance while the non-drive stay is a bit beefier to retain the frame’s lateral stiffness. 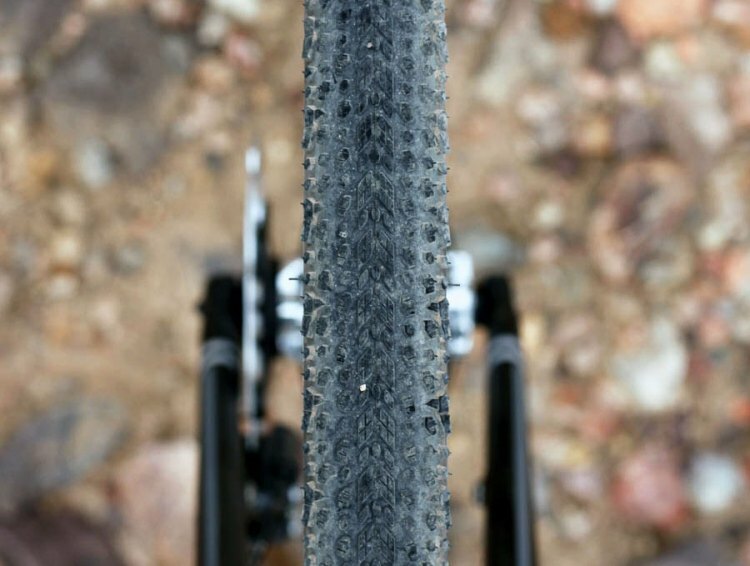 The bike rolls on a DT Swiss R23 Spline wheelset, with tubeless compatible 700x36c Clement X’plor MSO tires. 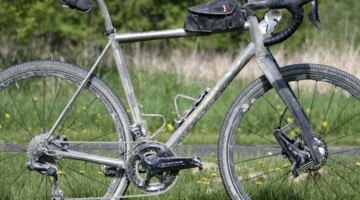 Given that the wheels are tubeless ready, right out of the box this bike is primed to ditch the tubes in exchange for sealant. The 2017 Strasbourg 71 carbon comes in three colorways and is available now with the retail sticker price of $4,999 USD. Lastly, what’s the story behind the name? Merckx won a stage of the 1971 Tour de France that ended in Strasbourg on a gravel track. 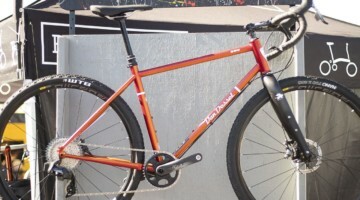 The company does not promise similar results if you ride this bike, but hopes to deliver similar joy. Full photo gallery below the specs.